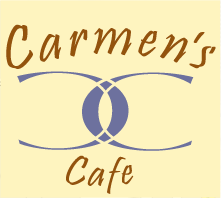 Join your friends this beautiful Spring morning at Carmen’s Cafe. We’ll wait out the rain together and enjoy some great food. You may have some chores to do but you’ll be fortified with a delicious meal before you go on your way.